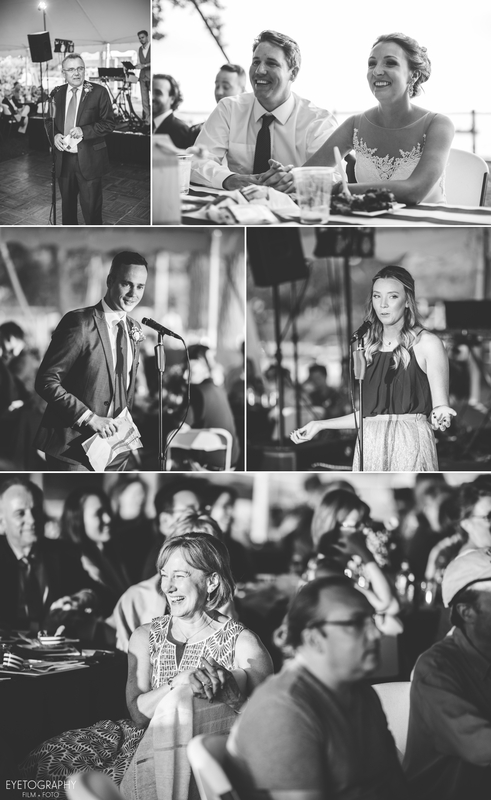 Erin and Jon had their reception at Minnetonka Yacht Club. All of the guests arrived to the island by boat, where they lined up to be greeted by the bride, the groom, and their parents, before being handed a cocktail and sipping it down at the water’s edge. The greatest achievement of the day, was, of course, Erin and Jon going from two single people to a married couple, yay! But the second greatest achievement, and here I give major props to every guest, member of the bridal party and ourselves, nothing and no one ended up accidentally in the water. Believe me, it was not out of the realm of possibility. 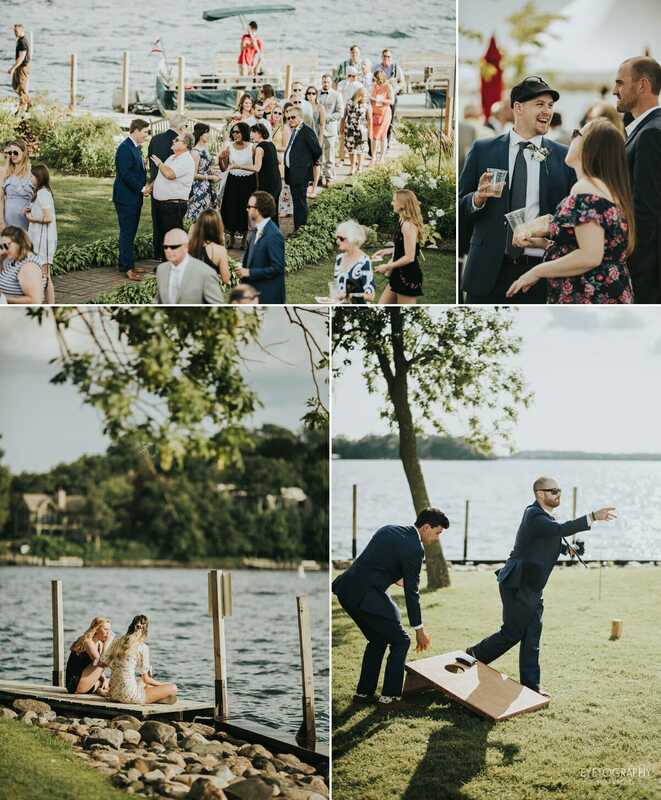 The bridal party, instead of taking a short water taxi ride, took a gorgeous boat from the other end of Lake Minnetonka to the Minnetonka Yacht Club. It’s a longer ride, so of course, we had to clip along at decent pace or we’d never get there (also, it’s more fun.) Most of the bridal party ended up on the front of the boat in what I’d call “at-your-own-risk” seating. I’m not sure of the correct nautical term, but you definitely needed your sea legs to navigate it with a drink in your hand. So applause to all of us for not falling in the water! The island itself was absolutely beautiful. While it was pouring rain in Minneapolis and many of the suburbs, this little island stayed in a protected bubble. We were surrounded by water both above and below, yet everyone stayed perfectly dry! The clouds even broke at the end of the night to reveal a soft orange sunset for all the guests to enjoy. It was an amazing day for an amazing couple. 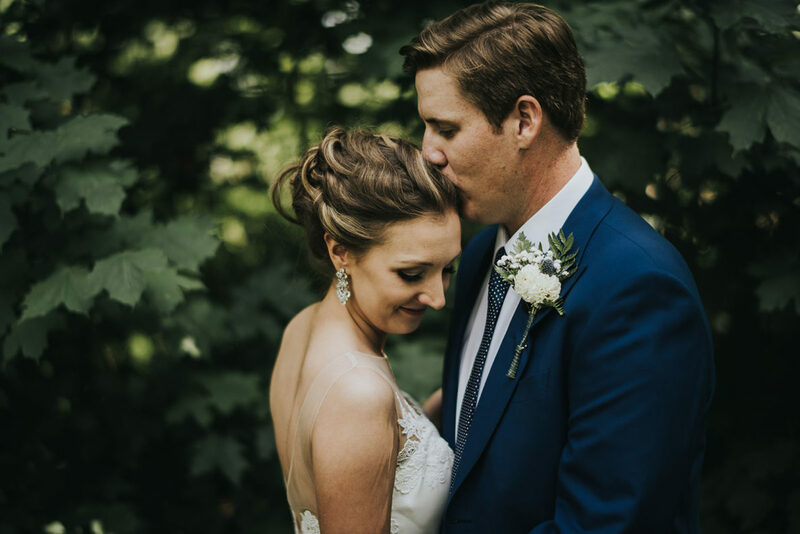 Congratulations Erin and Jon!